Primary seven pupils across the country have today started sitting their Primary Leaving Exams with Mathematics in the morning and social studies in the afternoon. 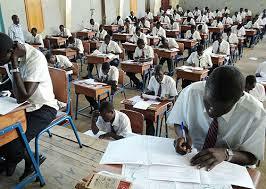 A total of 604,519 pupils from over 3000 centres are sitting this year’s exams. According to the Uneb executive secretary Mathew Bukenya there has been an increase of 22,434 pupils sitting this year’s exams compared to 2013. Bukenya says Uneb has deployed its officials including invigilators and supervisors to ensure that exams are conducted without any hitches. Meanwhile the ministry of education has threatened to withdraw licenses of private schools that will stop pupils with school fees balance to sit their exams.